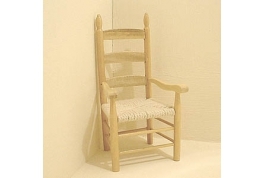 Excellent Quality Pine Carver Chair With Rattan Effect Seat. 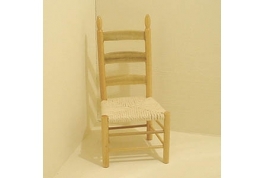 Excellent Quality Pine Chair With Rattan Effect Seat. 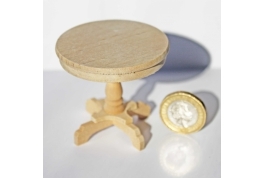 1:12 Scale Bare Wood Round Table can be stained or painted with acrylic paints. 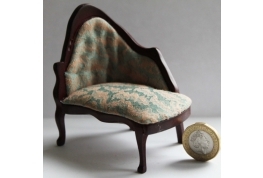 Would make an ideal miniature pub table.